Mt. Ashland features many family-friendly events during our ski season. 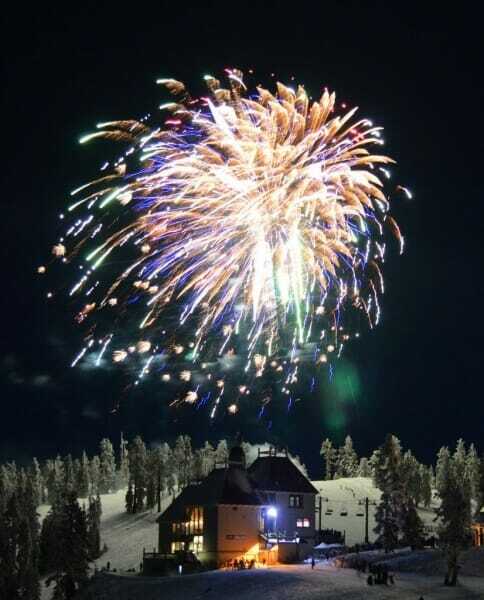 Don’t miss out on Twilight Skiing on Thursday and Friday nights January through mid-March. 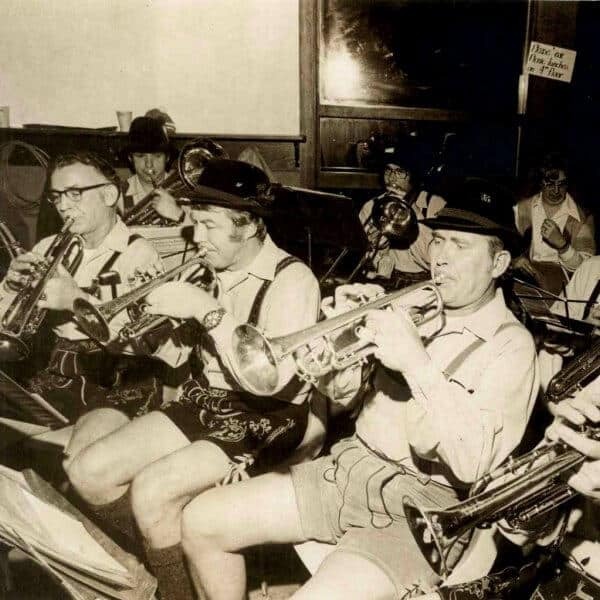 We also feature live music on many occasions. Make sure to follow us on Facebook and subscribe to our e-news to stay up-to-date on all the fun! 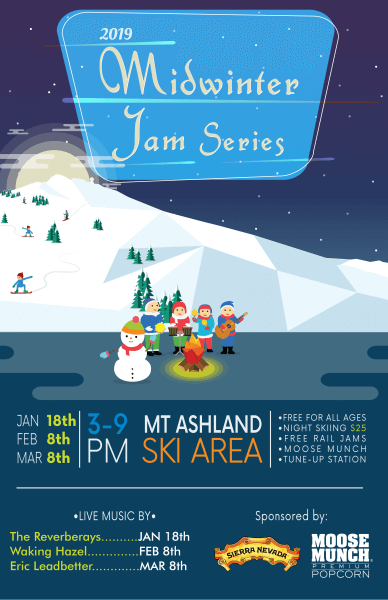 The Midwinter Jam Series features 3 nights of live music, rail jams, Twilight Skiing, free Moose Munch and S’Mores on the deck overlooking the rail jams, scavenger hunts, and more! Also sponsored by Sierra Nevada, there will be drink specials, and fun giveaways for adults 21+. Don’t miss this opportunity to see The Reverberays (Surf Rock), Waking Hazel, and Eric Leadbetter at this exciting series of Midwinter Local Mountain Fun! Participants build a dummy on skis (or atop a snowboard) that gets launched off a big jump just downhill from our Lodge to the delight of all spectators. 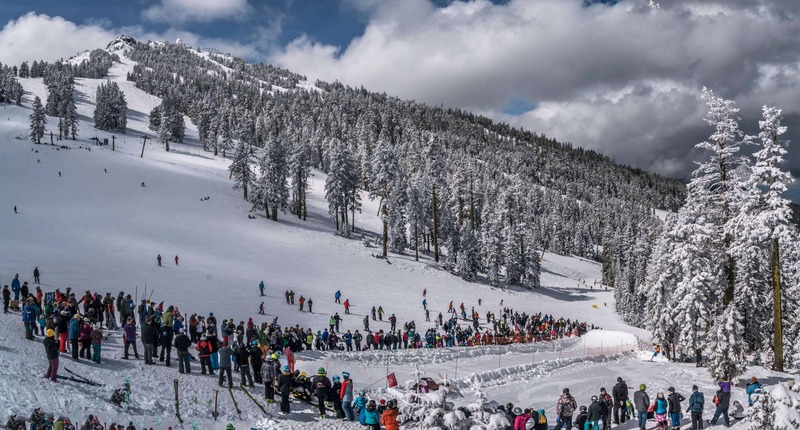 This wacky event is fun for the whole family–skiers and non-skiers alike. Start building your dummies now because there is going to be a stiff competition in 2019!